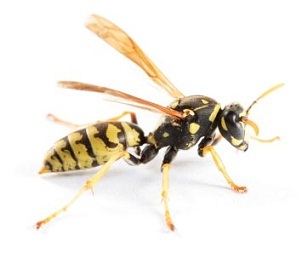 Take the Sting Out of Summer - Yes Pest Pros, Inc. Take the Sting Out of Summer - Yes Pest Pros, Inc.
You may remember learning about bees and wasps in school. You probably learned that we appreciate bees for pollinating our flowers. Of course, we appreciate honeybees for the honey that they manufacture. You may have learned that we appreciate wasps for their control over the insect population. They feed on a variety of insects including caterpillars, flies, and crickets. They are actually a type of natural pest control. However, you also have probably learned that the features we do not appreciate are the stingers. Why do bees and wasps have stingers anyway? The reason for these insects having stingers is protection. Bees and wasps protect themselves from predators using their stingers. If they sense they are in danger then they will use their stinger. But, they don’t like using their stinger unless their lives are threatened. When are bees and wasps a threat to people? If you’re outdoors minding your own business, then typically the bees and wasps will leave you alone. However, if you’re in their territory and they feel their lives are threatened, then they will use their stinger. Also, in the late summer and early fall wasps are focused on collecting sweets and carbohydrates. So, they may aggressively go after your food when you are eating outside. Therefore, if you are swatting that wasp away from your food so you can eat it, then the stinger may be used on your hand or wherever the wasp can use it. For most people, the threat posed by these insects is minor. It hurts in the moment and for a little bit after you have pulled the stinger out. However, for some people the sting can present a life threatening reaction. These are people who are allergic to what was released with the stinger. So, how do you keep these insects out of your yard? The first thing you have to do is to determine what type of insect you are dealing with. Once you have determined this you can look for the nesting site of the insect. Then you will want to inject insecticide into the nest. This can be dangerous because the colony is sure to get mad about the action you have taken. If you are not comfortable doing this by yourself then you can hire an Elkhart pest control company such as Young Environmental Solutions. Young Environmental Solutionswill take care of all of your pest control needs.